Parental Ideas: Calling all Kids! Join the Red Sox Kid Nation FREE! Calling all Kids! Join the Red Sox Kid Nation FREE! 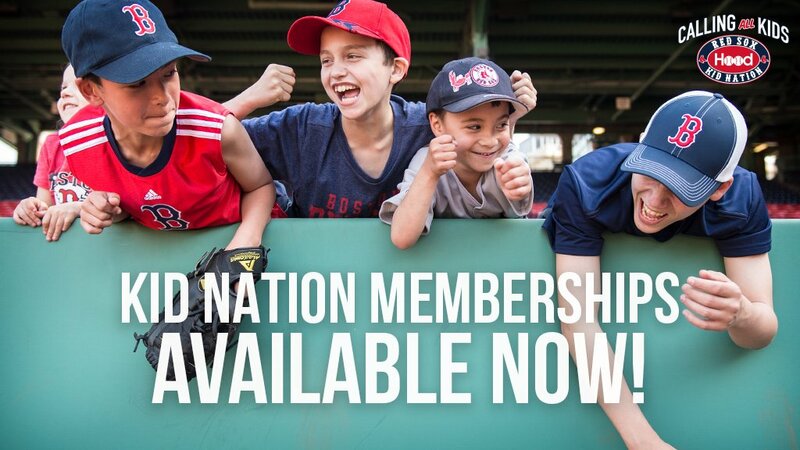 This year, the Red Sox are continuing what they started last year in making Kid Nation Rookie memberships FREE for all kids! We did this last year and it was great! 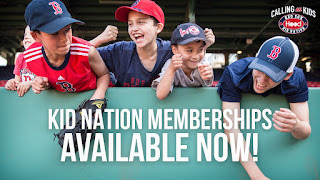 When you join you'll get a kid nation passport, free Red Sox game ticket (while supplies last), email newsletter and discount at the official store among other goodies! What are you waiting for? Register today! So, I'm super excited to let you guys know that this year, I'm going to be working with the Red Sox to help promote some of their family friendly activities as a Red Sox Dad! I can't begin to describe my enthusiasm as that was the twitter handle I chose some years ago, never thinking it would amount to this! Special student discount tickets for high school and college students with a student ID, you can get a $9 ticket for every regular season home game. The “Student 9’s,” presented by Selfeo, guarantee at least an entry into standing room with the possibility of an upgrade to seats when available. The Red Sox will take Fenway Park on the road with a new mobile truck that will bring the ballpark experience to communities throughout New England. The Red Sox Mobile Experience presented by T-Mobile features a 15-foot truck with panels that move to remake the Green Monster wall. The truck will carry a batting cage, virtual reality dugout, and pitching stations to dozens of cities and towns during the 2016 season. A rolling mobile exhibit will feature a miniature fiberglass version of Pesky’s Pole that youngsters can sign with a dry erase marker, a piece of the padded field wall that lines the infield and outfield, and various compartments with objects for them to feel, such as a deconstructed baseball and Fenway Park dirt. Miniature lockers staged to look just like the ones in the Red Sox clubhouse will be installed in Wally’s Clubhouse, and an oversized trunk filled with authentic Red Sox jerseys, cleats, and batting gloves will be available for kids to play dress up. In addition to the tactile elements, enhanced organized games and activities such as Red Sox bingo, story time, Q&A sessions, and lessons on scoring the game will take place in the space. The Red Sox will also host a comprehensive clinic later in the season for kids who want to learn how to score the game. Tessie the Green Monster (Wally’s sister) will take her place in the Kids Concourse where she will be a permanent staple before and during Red Sox home games throughout the season. NOTE: I super excited to share this info with you guys as a participating Red Sox Dad which is part of the Red Sox Moms/Dads blogger program. No compensation was received and all opinions are my own.